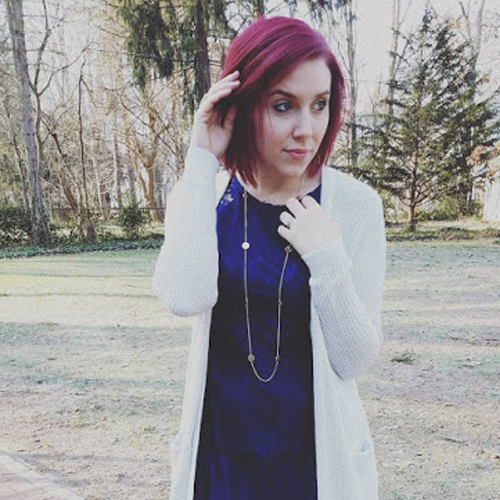 Styled by Stacy: All About Athleisure! An emerging trend that is quickly becoming a fashion staple in everyone’s closet is Athleisure. What started out as a trend in the 80’s with tracksuits has evolved from season to season to more sophisticated pieces that aren't just for working out. Women today are always on the go. From work to yoga class to picking up the kids and school functions, the to do list is endless. As women today we need versatile pieces that we can wear with anything and to any occasion. What’s great about athleisure pieces is they have the comfort of workout attire with soft breathable fabrics that are easy to move in. Athleisure is re-imagining clothing to resemble more tailored looks for the office or leggings that can be paired with any top just like your favorite pair of denim. There are a lot of brands out there which offer athleisure but one of the brands I think does it the best happens to be a local brand found right here in the CLE called Grace & Ricci. I was first introduced to Grace & Ricci during a trunk show held at one of my favorite local boutiques, Banyan Tree. When I shopped the line I fell in love with their designs and tailored athleisure pieces. As all of you know I am a lover of everything local so I had to reach out to Mary Grace the brands designer and learn more about her up and coming brand. Styled by Stacy: What’s your background? SS: How did you get started with your brand? SS: Who does the designing for your brand? SS: What inspired you to start your athleisure brand? SS: Who is your customer? SS: I was first introduced to your line at Banyan Tree is there any other retailers that carry your line? SS: Did you have a list of retailers you wanted? And do you only sell in Cleveland or LA as well? SS: When I was at the Banyan Tree trunck show you only had a few pieces, was that just for the show or do you have more pieces that you sell online? SS: What are some of those other designs we have to look forward to, if you don't mind me asking? SS: What are your future plans? Do you see yourself with your own retail space someday? And Styled by Stacy completely agrees! I love my city and I would love to see it grow to its full potential. After sitting down with Mary Grace I felt inspired and excited to meet someone with a passion not only for fashion but, for Cleveland as well. Every time I meet a local maker my pride in my city grows. I’m so glad to present the Athleisure trend to you in a more personal way. I hope to encourage you to always shop local, even if you’re not from Cleveland, and if you're having trouble incorporating the athleisure trend into your wardrobe, check out my three different looks below featuring the Emily Tank from Grace & Ricci to help get you through the weekend with ease! Friday Night Girls Night Look: With the breathable sweat wicking fabric of the Emily Tank you can dance the night away with the ladies while stay cool and dry! Saturday Weekend Look: The Emily Tank goes with everything including your favorite pair of leggings. Just add a jacket and this laid back look is perfect for running all your weekend errands! Sunday Morning Look: Add a cute skirt to the Emily Tank and you have an outfit perfect for Sunday services or brunch with the ladies! Shop the Emily Tank Here! I love everything about the fashion industry from it’s unique designs and art to its ever changing atmosphere. I wanted to share my love of fashion, creativity, and my style with people everywhere. 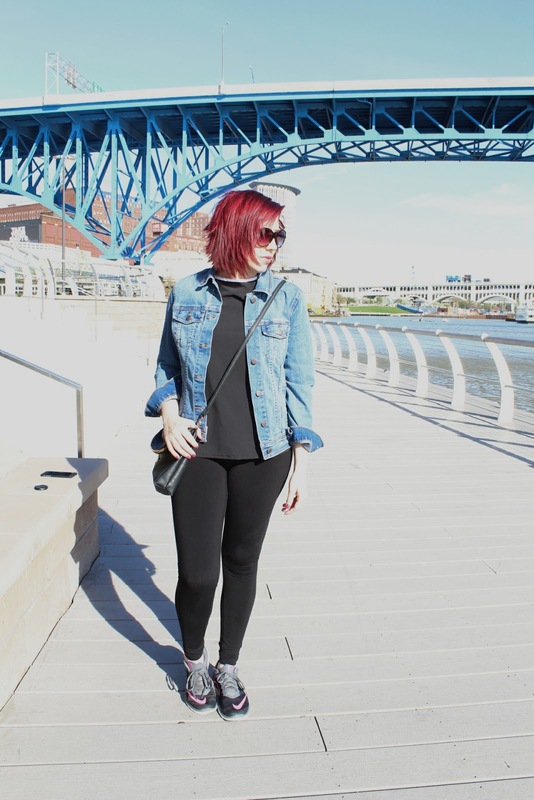 Styled by Stacy offers trend styling, my fashion favorites, and a love for my city, The CLE!